The Jewish diaspora (Hebrew: Tfutza, תְּפוּצָה) or exile (Hebrew: Galut, גָּלוּת; Yiddish: Golus) refers to the dispersion of Israelites or Jews out of their ancestral homeland (the Land of Israel) and their subsequent settlement in other parts of the globe. In terms of the Hebrew Bible, the term "Exile" denotes the fate of the Israelites who were taken into exile from the Kingdom of Israel during the 8th century BCE, and the Judahites from the Kingdom of Judah who were taken into exile during the 6th century BCE. While in exile, the Judahites became known as "Jews" (יְהוּדִים, or Yehudim), "Mordecai the Jew" from the Book of Esther being the first biblical mention of the term. The first exile was the Assyrian exile, the expulsion from the Kingdom of Israel (Samaria) begun by Tiglath-Pileser III of Assyria in 733 BCE. This process was completed by Sargon II with the destruction of the kingdom in 722 BCE, concluding a three-year siege of Samaria begun by Shalmaneser V. The next experience of exile was the Babylonian captivity, in which portions of the population of the Kingdom of Judah were deported in 597 BCE and again in 586 BCE by the Neo-Babylonian Empire under the rule of Nebuchadnezzar II. A Jewish diaspora existed for several centuries before the fall of the Second Temple, and their dwelling in other countries for the most part was not a result of compulsory dislocation. Before the middle of the first century CE, in addition to Judea, Syria and Babylonia, large Jewish communities existed in the Roman provinces of Syria Palaestina, Egypt, Crete and Cyrenaica, and in Rome itself; after the Siege of Jerusalem in 63 BCE, when the Hasmonean kingdom became a protectorate of Rome, emigration intensified. In 6 CE the region was organized as the Roman province of Judea. The Judean population revolted against the Roman Empire in 66 CE in the First Jewish–Roman War which culminated in the destruction of Jerusalem in 70 CE. During the siege, the Romans destroyed the Second Temple and most of Jerusalem. This watershed moment, the elimination of the symbolic centre of Judaism and Jewish identity constrained many Jews to reformulate a new self-definition and adjust their existence to the prospect of an indefinite period of displacement. In 132 CE, Bar Kokhba led a rebellion against Hadrian, a revolt connected with the renaming of Jerusalem as Aelia Capitolina. After four years of devastating warfare, the uprising was suppressed, and Jews were forbidden access to Jerusalem. During the Middle Ages, due to increasing migration and resettlement, Jews divided into distinct regional groups which today are generally addressed according to two primary geographical groupings: the Ashkenazi of Northern and Eastern Europe, and the Sephardic Jews of Iberia (Spain and Portugal), North Africa and the Middle East. These groups have parallel histories sharing many cultural similarities as well as a series of massacres, persecutions and expulsions, such as the expulsion from Spain in 1492, the expulsion from England in 1290, and the expulsion from Arab countries in 1948–1973. Although the two branches comprise many unique ethno-cultural practices and have links to their local host populations (such as Central Europeans for the Ashkenazim and Hispanics and Arabs for the Sephardim), their shared religion and ancestry, as well as their continuous communication and population transfers, has been responsible for a unified sense of cultural and religious Jewish identity between Sephardim and Ashkenazim from the late Roman period to the present. Diaspora has been a common phenomenon for many peoples since antiquity, but what is particular about the Jewish instance is the pronounced negative, religious, indeed metaphysical connotations traditionally attached to dispersion and exile (galut), two conditions which were conflated. The English term diaspora, which entered usage as late as 1876, and the Hebrew word galut though covering a similar semantic range, bear some distinct differences in connotation. The former has no traditional equivalent in Hebrew usage. Steven Bowman argues that diaspora in antiquity connoted emigration from an ancestral mother city, with the emigrant community maintaining its cultural ties with the place of origin. Just as the Greek city exported its surplus population, so did Jerusalem, while remaining the cultural and religious centre or metropolis (ir-va-em be-yisrael) for the outlying communities. It could have two senses in Biblical terms, the idea of becoming a 'guiding light unto the nations' by dwelling in the midst of gentiles, or of enduring the pain of exile from one's homeland. 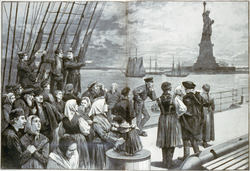 The conditions of diaspora in the former case were premised on the free exercise of citizenship or resident alien status. Galut implies by comparison living as a denigrated minority, stripped of such rights, in the host society. Sometimes diaspora and galut are defined as 'voluntary' as opposed to 'involuntary' exile. Diaspora, it has been argued, has a political edge, referring to geopolitical dispersion, which may be involuntary, but which can assume, under different conditions, a positive nuance. Galut is more teleological, and connotes a sense of uprootedness. Daniel Boyarin defines diaspora as a state where people have a dual cultural allegiance, productive of a double consciousness, and in this sense a cultural condition not premised on any particular history, as opposed to galut, which is more descriptive of an existential situation, that properly of exile, conveying a particular psychological outlook. In Talmudic and post-Talmudic Rabbinic literature, this phenomenon was referred to as galut (exile), a term with strongly negative connotations, often contrasted with geula (redemption). Eugene Borowitz describes Galut as "fundamentally a theological category The modern Hebrew concept of Tefutzot תפוצות, "scattered", was introduced in the 1930s by the Jewish-American Zionist academic Simon Rawidowicz, who to some degree argued for the acceptance of the Jewish presence outside the Land of Israel as a modern reality and an inevitability. The Greek term for diaspora (διασπορά) also appears three times in the New Testament, where it refers to the scattering of Israel, i.e., the Ten Northern Tribes of Israel as opposed to the Southern Kingdom of Judah, although James (1:1) refers to the scattering of all twelve tribes. In Zionist debates a distinction was made between galut and golus/gola. The latter denoted social and political exile, whereas the former, while consequential on the latter, was a psycho-spiritual framework that was not wholly dependent on the conditions of life in diasporic exile, since one could technically remain in galut even in Eretz Israel. Whereas Theodore Herzl and his follows thought that the establishment of a Jewish state would put an end to the diasporic exile, Ahad Ha-am thought to the contrary that such a state's function would be to 'sustain Jewish nationhood' in the diaspora. In 722 BCE, the Assyrians, under Sargon II, successor to Shalmaneser V, conquered the Kingdom of Israel, and many Israelites were deported to Mesopotamia. The Jewish proper diaspora began with the Babylonian exile in the 6th century BCE. After the overthrow of the Kingdom of Judah in 586 BCE by Nebuchadnezzar II of Babylon (see Babylonian captivity) and the deportation of a considerable portion of its inhabitants to Mesopotamia, the Jews had two principal cultural centers: Babylonia and the land of Israel. Deportees returned to the Samaria after the Neo-Babylonian Empire was in turn conquered by Cyrus the Great. The biblical book of Ezra includes two texts said to be decrees allowing the deported Jews to return to their homeland after decades and ordering the Temple rebuilt. The differences in content and tone of the two decrees, one in Hebrew and one in Aramaic, have caused some scholars to question their authenticity. The Cyrus Cylinder, an ancient tablet on which is written a declaration in the name of Cyrus referring to restoration of temples and repatriation of exiled peoples, has often been taken as corroboration of the authenticity of the biblical decrees attributed to Cyrus, but other scholars point out that the cylinder's text is specific to Babylon and Mesopotamia and makes no mention of Judah or Jerusalem. Lester L. Grabbe asserted that the "alleged decree of Cyrus" regarding Judah, "cannot be considered authentic", but that there was a "general policy of allowing deportees to return and to re-establish cult sites". He also stated that archaeology suggests that the return was a "trickle" taking place over decades, rather than a single event. There is no sudden expansion of the population base of 30,000 and no credible indication of any special interest in Yehud. Although most of the Jewish people during this period, especially the wealthy families, were to be found in Babylonia, the existence they led there, under the successive rulers of the Achaemenids, the Seleucids, the Parthians, and the Sassanians, was obscure and devoid of political influence. The poorest but most fervent of the exiles returned to Judah / the Land of Israel during the reign of the Achaemenids (c. 550–330 BCE). There, with the reconstructed Temple in Jerusalem as their center, they organized themselves into a community, animated by a remarkable religious ardor and a tenacious attachment to the Torah as the focus of its identity. As this little nucleus increased in numbers with the accession of recruits from various quarters, it awoke to a consciousness of itself, and strove once again for national independence and political enfranchisement and sovereignty. The first Jewish diaspora in Egypt arose in the last century of pharaonic rule, apparently with the settlement there, either under Ashurbanipal or during the reign of Psammeticus of a colony of Jewish mercenaries, a military class that successively served the Persian, the Ptolemaic and Roman governments down to the early decades of the second century C.E., when the revolt against Trajan destroyed them. Their presence was buttressed by numerous Jewish administrators who joined them in Egypt's military and urban centres. While communities in Alexandria and Rome dated back to before the Maccabean Revolt, the population in the Jewish diaspora expanded after the Pompey's campaign in 62 BCE. Under the Hasmonean princes, who were at first high priests and then kings, the Jewish state displayed even a certain luster and annexed several territories. Soon, however, discord within the royal family and the growing disaffection of the pious, the soul of the nation, towards rulers who no longer evinced any appreciation of the real aspirations of their subjects made the Jewish nation easy prey for the ambitions of the now increasingly autocratic and imperial Romans, the successors of the Seleucids. In 63 BCE Pompey invaded Jerusalem, the Jewish people lost their political sovereignty and independence, and Gabinius subjected the Jewish people to tribute. As early as the third century BCE Jewish communities sprang up in the Aegean islands, Greece, Asia Minor, Cyrenaica, Italy and Egypt. : 8–11 In Palestine, under the favourable auspices of the long period of peace - almost a whole century - which followed the advent of the Ptolemies, the new ways were to flourish. By means of all kinds of contacts, and particularly thanks to the development of commerce, Hellenism infiltrated on all sides in varying degrees. The ports of the Mediterranean coast were indispensable to commerce and, from the very beginning of the Hellenistic period, underwent great development. In the Western diaspora Greek quickly became dominant in Jewish life and little sign remains of profound contact with Hebrew or Aramaic, the latter probably being the more prevalent. The proportion of Jews in the diaspora in relation to the size of the nation as a whole increased steadily throughout the Hellenistic era and reached astonishing dimensions in the early Roman period, particularly in Alexandria. It was not least for this reason that the Jewish people became a major political factor, especially since the Jews in the diaspora, notwithstanding strong cultural, social and religious tensions, remained firmly united with their homeland. Smallwood writes that,'It is reasonable to conjecture that many, such as the settlement in Puteoli attested in 4 BCE went back to the late (pre-Roman Empire) Roman Republic or early Empire and originated in voluntary emigration and the lure of trade and commerce." Dating the numerous settlements is difficult. Some settlements may have resulted from the Jewish revolts. Others, such as the Jewish community in Rome, were far older, dating back to at least the mid second century BCE, although it expanded greatly following Pompey’s campaign in 62 BCE. In 6 CE the Romans annexed Judaea. Only the Jews in Babylonian remained outside of Roman rule. :168 Unlike the Greek speaking Hellenized Jews in the west the Jewish communities in Babylonian and Judea continued the use of Aramaic as a primary language. As early as the middle of the 2nd century BCE the Jewish author of the third book of the Oracula Sibyllina addressed the "chosen people," saying: "Every land is full of thee and every sea." The most diverse witnesses, such as Strabo, Philo, Seneca, Luke (the author of the Acts of the Apostles), Cicero, and Josephus, all mention Jewish populations in the cities of the Mediterranean basin. See also History of the Jews in India and History of the Jews in China for pre-Roman (and post-) diasporic populations. King Agrippa I, in a letter to Caligula, enumerated among the provinces of the Jewish diaspora almost all the Hellenized and non-Hellenized countries of the Orient. This enumeration was far from complete as Italy and Cyrene were not included. The epigraphic discoveries from year to year augment the number of known Jewish communities but must be viewed with caution due to the lack of precise evidence of their numbers. According to the ancient Jewish historian Josephus, the next most dense Jewish population after the Land of Israel and Babylonia was in Syria, particularly in Antioch, and Damascus, where 10,000 to 18,000 Jews were massacred during the great insurrection. The ancient Jewish philosopher Philo gives the number of Jewish inhabitants in Egypt as one million, one-eighth of the population. Alexandria was by far the most important of the Egyptian Jewish communities. The Jews in the Egyptian diaspora were on a par with their Ptolemaic counterparts and close ties existed for them with Jerusalem. As in other Hellenistic diasporas, the Egyptian diaspora was one of choice not of imposition. To judge by the accounts of wholesale massacres in 115 BCE, the number of Jewish residents in Cyrenaica, Cyprus, and Mesopotamia was also large. 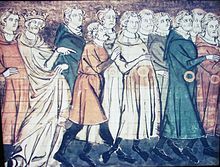 At the commencement of the reign of Caesar Augustus, there were over 7,000 Jews in Rome (though this is only the number that is said to have escorted the envoys who came to demand the deposition of Archelaus; compare: Bringmann: Klaus: Geschichte der Juden im Altertum, Stuttgart 2005, S. 202. Bringmann talks about 8,000 Jews who lived in the city of Rome.). Many sources say that the Jews constituted a full one-tenth (10%) of the population of the ancient city of Rome itself. Finally, if the sums confiscated by the governor Lucius Valerius Flaccus in the year 62/61 BCE represented the tax of a didrachma per head for a single year, it would imply that the Jewish population of Asia Minor numbered 45,000 adult males, for a total of at least 180,000 persons. The 13th-century author Bar Hebraeus gave a figure of 6,944,000 Jews in the Roman world. Salo Wittmayer Baron considered the figure convincing. The figure of seven million within and one million outside the Roman world in the mid-first century became widely accepted, including by Louis Feldman. However, contemporary scholars now accept that Bar Hebraeus based his figure on a census of total Roman citizens and thus, included non-Jews. The figure of 6,944,000 being recorded in Eusebius' Chronicon. : 90, 94, 104–05 Louis Feldman, previously an active supporter of the figure, now states that he and Baron were mistaken. : 185 Philo gives a figure of one million Jews living in Egypt. John R. Bartlett rejects Baron's figures entirely, arguing that we have no clue as to the size of the Jewish demographic in the ancient world. : 97–103 The Romans did not distinguish between Jews inside and outside of the Land of Israel/Judaea. They collected an annual temple tax from Jews both in and outside of Israel. The revolts in and suppression of diaspora communities in Egypt, Libya and Crete in 115–117 CE had a severe impact on the Jewish diaspora. Copy of relief panel from the Arch of Titus in the Nahum Goldmann Museum of the Jewish People, depicting the triumphal parade of Roman soldiers celebrating "Judaea Capta" ("Judaea is enslaved/conquered") and leading newly enslaved Jews, while displaying spoils of the siege of Jerusalem. It is commonly claimed that the diaspora began with Rome's twofold crushing of Jewish national aspirations. David Aberbach, for one, has argued that much of the European Jewish diaspora, by which he means exile or voluntary migration, originated with the Jewish wars which occurred between 66 and 135 CE. : 224 Martin Goodman states that it is only after the destruction of Jerusalem that Jews are found in northern Europe and along the western Mediterranean coast. This widespread popular belief holds that there was a sudden expulsion of Jews from Judea/Syria Palaestina and that this was crucial for the establishment of the diaspora, Israel Bartal contends that Shlomo Sand is incorrect in ascribing this view to most Jewish study scholars, instead arguing that this view is negligible among serious Jewish study scholars. Arguing that the growth of diaspora Jewish communities was a gradual process that occurred over the centuries, starting with the Assyrian destruction of Israel, the Babylonian destruction of Judah, the Roman destruction of Judea, and the subsequent rule of Christians and Muslims. After the revolt, the Jewish religious and cultural center shifted to the Babylonian Jewish community and its scholars. For the generations that followed, the destruction of the Second Temple event came to represent a fundamental insight about the Jews who had become a dispossessed and persecuted people for much of their history. Following the Bar Kokhba revolt Jews were reduced to a wholly diaspora people. Erich S. Gruen maintains for example that focusing on the destruction of the Temple misses the point that already before this, the diaspora was well established. Compulsory dislocation of people cannot explain more than a fraction of the eventual diaspora. Avrum Ehrlich also states that already well before the destruction of the Temple in 70 CE, more Jews lived in the Diaspora than in Israel. According to Israel Yuval, the Babylonian captivity created a promise of return in the Jewish consciousness which had the effect of enhancing the Jewish self-perception of Exile after the destruction of the Second Temple, albeit their dispersion was due to an array of non-exilic factors. Roman rule, which began in 63 BCE, continued until a revolt from 66–70 CE, a Jewish uprising to fight for independence, was eventually crushed after four years, culminating in the capture of Jerusalem and the burning and destruction of the Temple, the centre of the national and religious life of the Jews throughout the world. The Jewish diaspora at the time of the Temple's destruction, according to Josephus, was in Parthia (Persia), Babylonia (Iraq), Arabia, as well as some Jews beyond the Euphrates and in Adiabene (Kurdistan). In Josephus' own words, he had informed "the remotest Arabians" about the destruction. Exactly when Roman Anti-Judaism began is a question of scholarly debate, however historian Hayim Hillel Ben-Sasson has proposed that the "Crisis under Caligula" (37–41) was the "first open break between Rome and the Jews". Meanwhile, the Kitos War led to the destruction of Jewish communities in Crete and North Africa, in 117 CE, and consequently the dispersal of Jews already living outside of Judea to further reaches of the Empire. Jerusalem had been left in ruins from the time of Vespasian. Sixty years later, Hadrian, who had been instrumental in the expulsion from Palestine of Marcius Turbo after his bloody repression of Jews in the diaspora in 117 CE., on visiting the area of Iudaea, decided to rebuilt the city in 130 CE, and settle it, circumstantial evidence suggesting it was he who renamed it Ælia Capitolina, with a Roman colonia and foreign cults. it is commonly held that this was done as an insult to the Jews and as a means of erasing the land's Jewish identity, Other argued that this project was expressive of an intention of establishing administratively and culturally a firm Roman imperial presence, and thus incorporate the province, now called Syro-Palaestina, into the Roman world system. These political measures were, according to Menachem Mor, devoid of any intention to eliminate Judaism, indeed, the pagan reframing of Jerusalem may have been a strategic move designed to challenge, rather, the growing threat, pretensions and influence of converts to Christianity, for whom Jerusalem was likewise a crucial symbol of their faith. Implementation of these plans led to violent opposition, and triggered a full-scale insurrection with the revolt led by Bar Kochba (132–136 CE), assisted, according to Dio Cassius, by some other peoples, perhaps Arabs who had recently been subjected by Trajan. Jews were forbidden entrance to Jerusalem on pain of death, except for the day of Tisha B'Av. There was a further shift of the center of religious authority from Yavne, as rabbis regrouped in Usha in the western Galilee, where the Mishnah was composed. This ban struck a blow at Jewish national identity within Palestine, while the Romans however continued to allow Jews in the diaspora their distinct national and religious identity throughout the Empire. The military defeats of the Jews in Judaea in 70 CE and again in 135 CE, with thousands sold into slavery, meant a drop in Palestine's Jewish population was balanced by a rise in diaspora numbers. These slaves and their children were eventually manumitted and joined local free communities. It has been argued that the archaeological evidence is suggestive of a Roman genocide taking place during the Second revolt. A significant movement of gentiles and Samaritans into villages formerly with a Jewish majority appears to have taken place thereafter. During the Middle Ages, due to increasing geographical dispersion and re-settlement, Jews divided into distinct regional groups which today are generally addressed according to two primary geographical groupings: the Ashkenazi of Northern and Eastern Europe, and the Sephardic Jews of Iberia (Spain and Portugal), North Africa and the Middle East. These groups have parallel histories sharing many cultural similarities as well as a series of massacres, persecutions and expulsions, such as the expulsion from Spain in 1492, the expulsion from England in 1290, and the expulsion from Arab countries in 1948–1973. Although the two branches comprise many unique ethno-cultural practices and have links to their local host populations (such as Central Europeans for the Ashkenazim and Hispanics and Arabs for the Sephardim), their shared religion and ancestry, as well as their continuous communication and population transfers, has been responsible for a unified sense of cultural and religious Jewish identity between Sephardim and Ashkenazim from the late Roman period to the present. By 1764 there were about 750,000 Jews in the Polish–Lithuanian Commonwealth. The worldwide Jewish population (comprising the Middle East and the rest of Europe) was estimated at 1.2 million. The Jews (Hebrew: יְהוּדִים, Yehudim), also known as the Jewish people, are an ethnoreligious group who mainly trace their origins to the ancient Israelites of the Levant, as well as other contributory peoples/populations. The Samaritans consider themselves to be the remaining population of the Northern Kingdom of Israel who were not expelled during the ten tribes exile, and who joined with the incoming Assyrian populations to form the Samaritan community. Some biblical scholars also consider that parts of the Judean population had stayed to live in their homes during the exilic period and later joined the returning Israelites from Babylon and formed the Jews of the classic and Hasmonean era. After the Persian conquest of Babylon in 539 BCE Judah (Hebrew: יְהוּדָה Yehuda) became a province of the Persian empire. This status continued into the following Hellenistic period, when Yehud became a disputed province of Ptolemaic Egypt and Seleucid Syria. In the early part of the 2nd century BCE, a revolt against the Seleucids led to the establishment of an independent Jewish kingdom under the Hasmonean dynasty. The Hasmoneans adopted a deliberate policy of imitating and reconstituting the Davidic kingdom, and as part of this forcibly converted to Judaism their neighbours in the Land of Israel. The conversions included Nabateans (Zabadeans) and Itureans, the peoples of the former Philistine cities, the Moabites, Ammonites and Edomites. Attempts were also made to incorporate the Samaritans, following takeover of Samaria. The success of mass-conversions is however questionable, as most groups retained their tribal separations and mostly turned Hellenistic or Christian, with Edomites perhaps being the only exception to merge into the Jewish society under Herodian dynasty and in the following period of Jewish-Roman Wars. While there are some references to maintaining the tribal separation among Israelites during the Hasmonean period, the dominant position of the tribe of Judah as well as nationalistic policies of Hasmoneans to refer to residents of Hasmonean Judea as Jews practically erased the tribal distinction, with the exception of the priestly orders of Levites and Kohanim (tribe of Levi). The Babylonian Jewish community, though maintaining permanent ties with the Hasmonean and later Herodian kingdoms, evolved into a separate Jewish community, which during the Talmudic period assembled its own practices, the Babylonian Talmud, slightly differing from the Jerusalem Talmud. The Babylonian Jewry is considered to be the predecessor of most Mizrahi Jewish communities. Ashkenazi Jews is a general category of Jewish populations who immigrated to what is now Germany and northeastern France during the Middle Ages and until modern times used to adhere to the Yiddish culture and the Ashkenazi prayer style. There is evidence that groups of Jews had immigrated to Germania during the Roman Era; they were probably merchants who followed the Roman Legions during their conquests. To a larger degree, modern Ashkenazi Jews are the descendants of Jews who migrated into northern France and lower Germany around 800–1000 CE, later migrating into Eastern Europe, as well as local Europeans who intermixed with Jews. Many Ashkenazi Jews are also descended from Sephardi Jews exiled from Spain, first during Islamic persecutions (11th-12th centuries) and later during Christian reconquests (13th-15th centuries) and the Spanish Inquisition (15th-16th centuries). In this sense, the modern term "Ashkenazi" refers to a subset of Jewish religious practices, adopted over time, rather than to a strict ethno-geographic division, which became erased over time. In 2006, a study by Doron Behar and Karl Skorecki of the Technion and Ramban Medical Center in Haifa, Israel demonstrated that the vast majority of Ashkenazi Jews, both men and women, have Middle Eastern ancestry. According to Nicholas Wades' 2010 Autosomal study Ashkenazi Jews share a common ancestry with other Jewish groups and Ashkenazi and Sephardi Jews have roughly 30% European ancestry with the rest being Middle Eastern. According to Hammer, the Ashkenazi population expanded through a series of bottlenecks—events that squeeze a population down to small numbers—perhaps as it migrated from the Middle East after the destruction of the Second Temple in 70 CE, to Italy, reaching the Rhine Valley in the 10th century. David Goldstein, a Duke University geneticist and director of the Duke Center for Human Genome Variation, has said that the work of the Technion and Ramban team served only to confirm that genetic drift played a major role in shaping Ashkenazi mitochondrial DNA (mtDNA), which is inherited in a matrilineal manner. Goldstein argues that the Technion and Ramban mtDNA studies fail to actually establish a statistically significant link between modern Jews and historic Middle Eastern populations. This differs from the patrilineal case, where Goldstein said there is no doubt of a Middle Eastern origin. In June 2010, Behar et al. "shows that most Jewish samples form a remarkably tight subcluster with common genetic origin, that overlies Druze and Cypriot samples but not samples from other Levantine populations or paired diaspora host populations. In contrast, Ethiopian Jews (Beta Israel) and Indian Jews (Bene Israel and Cochini) cluster with neighboring autochthonous populations in Ethiopia and western India, respectively, despite a clear paternal link between the Bene Israel and the Levant.". "The most parsimonious explanation for these observations is a common genetic origin, which is consistent with an historical formulation of the Jewish people as descending from ancient Hebrew and Israelite residents of the Levant." In conclusion the authors are stating that the genetic results are concordant "with the dispersion of the people of ancient Israel throughout the Old World". Regarding the samples he used Behar points out that "Our conclusion favoring common ancestry (of Jewish people) over recent admixture is further supported by the fact that our sample contains individuals that are known not to be admixed in the most recent one or two generations." A 2013 study of Ashkenazi mitochondrial DNA by Costa et al., reached the conclusion that the four major female founders and most of the minor female founders had ancestry in prehistoric Europe, rather than the Near East or Caucasus. According to the study these findings 'point to a significant role for the conversion of women in the formation of Ashkenazi communities". all Jews (Sephardi and Ashkenazi) cluster in one branch; Druze from Mount Lebanon and Druze from Mount Carmel are depicted on a private branch; and Lebanese Christians form a private branch with the Christian populations of Armenia and Cyprus placing the Lebanese Muslims as an outer group. The predominantly Muslim populations of Syrians, Palestinians and Jordanians cluster on branches with other Muslim populations as distant as Morocco and Yemen. Another 2013 study, made by Doron M. Behar of the Rambam Health Care Campus in Israel and others, suggests that: "Cumulatively, our analyses point strongly to ancestry of Ashkenazi Jews primarily from European and Middle Eastern populations and not from populations in or near the Caucasus region. The combined set of approaches suggests that the observations of Ashkenazi proximity to European and Middle Eastern populations in population structure analyses reflect actual genetic proximity of Ashkenazi Jews to populations with predominantly European and Middle Eastern ancestry components, and lack of visible introgression from the region of the Khazar Khaganate—particularly among the northern Volga and North Caucasus populations—into the Ashkenazi community." Sephardi Jews are Jews whose ancestors lived in Spain or Portugal. Some 300,000 Jews resided in Spain before the Spanish Inquisition in the 15th century, when the Reyes Católicos reconquered Spain from the Arabs and ordered the Jews to convert to Catholicism, leave the country or face execution without trial. Those who chose not to convert, between 40,000 and 100,000, were expelled from Spain in 1492 in the wake of the Alhambra decree. Sephardic Jews subsequently migrated to North Africa (Maghreb), Christian Europe (Netherlands, Britain, France and Poland), throughout the Ottoman Empire and even the newly discovered Latin America. In the Ottoman Empire, the Sephardim mostly settled in the European portion of the Empire, and mainly in the major cities such as: Istanbul, Selânik and Bursa. Selânik, which is today known as Thessaloniki and found in modern-day Greece, had a large and flourishing Sephardic community as was the community of Maltese Jews in Malta. A small number of Sephardic refugees who fled via the Netherlands as Marranos settled in Hamburg and Altona Germany in the early 16th century, eventually appropriating Ashkenazic Jewish rituals into their religious practice. One famous figure from the Sephardic Ashkenazic population is Glückel of Hameln. Some relocated to the United States, establishing the country's first organized community of Jews and erecting the United States' first synagogue. Nevertheless, the majority of Sephardim remained in Spain and Portugal as Conversos, which would also be the fate for those who had migrated to Spanish and Portuguese ruled Latin America. Sephardic Jews evolved to form most of North Africa's Jewish communities of the modern era, as well as the bulk of the Turkish, Syrian, Galilean and Jerusalemite Jews of the Ottoman period. Mizrahi Jews are Jews descended from the Jewish communities of the Middle East, Central Asia and the Caucasus, largely originating from the Babylonian Jewry of the classic period. The term Mizrahi is used in Israel in the language of politics, media and some social scientists for Jews from the Arab world and adjacent, primarily Muslim-majority countries. The definition of Mizrahi includes the modern Iraqi Jews, Syrian Jews, Lebanese Jews, Persian Jews, Afghan Jews, Bukharian Jews, Kurdish Jews, Mountain Jews, Georgian Jews. Some also include the North-African Sephardic communities and Yemenite Jews under the definition of Mizrahi, but do that from rather political generalization than ancestral reasons. Temanim are Jews who were living in Yemen prior to immigrating to Ottoman Palestine and Israel. Their geographic and social isolation from the rest of the Jewish community over the course of many centuries allowed them to develop a liturgy and set of practices that are significantly distinct from those of other Oriental Jewish groups; they themselves comprise three distinctly different groups, though the distinction is one of religious law and liturgy rather than of ethnicity. Traditionally the genesis of the Yemenite Jewish community came after the Babylonian exile, though the community most probably emerged during Roman times, and it was significantly reinforced during the reign of Dhu Nuwas in the 6th century CE and during later Muslim conquests in the 7th century CE, which drove the Arab Jewish tribes out of central Arabia. Karaim are Jews who used to live mostly in Egypt, Iraq, and Crimea during the Middle Ages. They are distinguished by the form of Judaism which they observe. Rabbinic Jews of varying communities have affiliated with the Karaite community throughout the millennia. As such, Karaite Jews are less an ethnic division, than they are members of a particular branch of Judaism. Karaite Judaism recognizes the Tanakh as the single religious authority for the Jewish people. Linguistic principles and contextual exegesis are used in arriving at the correct meaning of the Torah. Karaite Jews strive to adhere to the plain or most obvious understanding of the text when interpreting the Tanakh. By contrast, Rabbinical Judaism regards an Oral Law (codified and recorded in the Mishnah and the Talmud) as being equally binding on Jews, and mandated by God. In Rabbinical Judaism, the Oral Law forms the basis of religion, morality, and Jewish life. Karaite Jews rely on the use of sound reasoning and the application of linguistic tools to determine the correct meaning of the Tanakh; while Rabbinical Judaism looks towards the Oral law codified in the Talmud, to provide the Jewish community with an accurate understanding of the Hebrew Scriptures. The differences between Karaite and Rabbinic Judaism go back more than a thousand years. Rabbinical Judaism originates from the Pharisees of the Second Temple period. Karaite Judaism may have its origins among the Sadducees of the same era. Karaite Jews hold the entire Hebrew Bible to be a religious authority. As such, the vast majority of Karaites believe in the resurrection of the dead. Karaite Jews are widely regarded as being halachically Jewish by the Orthodox Rabbinate. Similarly, members of the rabbinic community are considered Jews by the Moetzet Hakhamim, if they are patrilineally Jewish. Jews of Israel comprise an increasingly mixed wide range of Jewish communities making aliyah from Europe, North Africa, and elsewhere in the Middle East. While a significant portion of Israeli Jews still retain memories of their Sephardic, Ashkenazi and Mizrahi origins, mixed Jewish marriages among the communities are very common. There are also smaller groups of Yemenite Jews, Indian Jews and others, who still retain a semi-separate communal life. There are also approximately 50,000 adherents of Karaite Judaism, most of whom live in Israel, but their exact numbers are not known, because most Karaites have not participated in any religious censuses. The Beta Israel, though somewhat disputed as the descendants of the ancient Israelites, are widely recognized in Israel as Ethiopian Jews. The ancestry of most American Jews goes back to Ashkenazi Jewish communities that immigrated to the US in the course of the 19th and 20th centuries, as well as more recent influxes of Persian and other Mizrahi Jewish immigrants. The American Jewish community is considered to contain the highest percentage of mixed marriages between Jews and non-Jews, resulting in both increased assimilation and a significant influx of non-Jews becoming identified as Jews. The most widespread practice in the U.S is Reform Judaism, which doesn't require or see the Jews as direct descendants of the ethnic Jews or Biblical Israelites, but rather adherents of the Jewish faith in its Reformist version, in contrast to Orthodox Judaism, the mainstream practice in Israel, which considers the Jews as a closed ethnoreligious community with very strict procedures for conversion. The Jews of modern France number around 400,000 persons, largely descendants of North African communities, some of which were Sephardic communities that had come from Spain and Portugal—others were Arab and Berber Jews from Algeria, Morocco and Tunisia, who were already living in North Africa before the Jewish exodus from the Iberian Peninsula—and to a smaller degree members of the Ashkenazi Jewish communities, who survived WWII and the Holocaust. Mountain Jews are Jews from the eastern and northern slopes of the Caucasus, mainly Azerbaijan, Chechnya and Dagestan. They are the descendants of Persian Jews from Iran. Bukharan Jews are an ethnic group from Central Asia who historically practised Judaism and spoke Bukhori, a dialect of the Tajik-Persian language. The Kaifeng Jews are members of a small Jewish community in Kaifeng, in the Henan province of China who have assimilated into Chinese society while preserving some Jewish traditions and customs. Cochin Jews also called Malabar Jews, are the oldest group of Jews in India, with possible roots that are claimed to date back to the time of King Solomon. The Cochin Jews settled in the Kingdom of Cochin in South India, now part of the state of Kerala. As early as the 12th century, mention is made of the Black Jews in southern India. The Jewish traveler, Benjamin of Tudela, speaking of Kollam (Quilon) on the Malabar Coast, writes in his Itinerary: "...throughout the island, including all the towns thereof, live several thousand Israelites. The inhabitants are all black, and the Jews also. The latter are good and benevolent. They know the law of Moses and the prophets, and to a small extent the Talmud and Halacha." These people later became known as the Malabari Jews. They built synagogues in Kerala beginning in the 12th and 13th centuries. They are known to have developed Judeo-Malayalam, a dialect of the Malayalam language. Paradesi Jews are mainly the descendents of Sephardic Jews who originally immigrated to India from Sepharad (Spain and Portugal) during the 15th and 16th centuries in order to flee forced conversion or persecution in the wake of the Alhambra Decree which expelled the Jews from Spain. They are sometimes referred to as White Jews, although that usage is generally considered pejorative or discriminatory and it is instead used to refer to relatively recent Jewish immigrants (end of the 15th century onwards), who are predominantly Sephardim. The Paradesi Jews of Cochin are a community of Sephardic Jews whose ancestors settled among the larger Cochin Jewish community located in Kerala, a coastal southern state of India. The Georgian Jews are considered ethnically and culturally distinct from neighboring Mountain Jews. They were also traditionally a highly separate group from the Ashkenazi Jews in Georgia. The Krymchaks are Jewish ethno-religious communities of Crimea derived from Turkic-speaking adherents of Orthodox Judaism. During the history of the Jewish diaspora, Jews who lived in Christian Europe were often attacked by the local Christian population, and they were often forced to convert to Christianity. Many, known as "Anusim" ('forced-ones'), continued practicing Judaism in secret while living outwardly as ordinary Christians. The best known Anusim communities were the Jews of Spain and the Jews of Portugal, although they existed throughout Europe. In the centuries since the rise of Islam, many Jews living in the Muslim world were forced to convert to Islam, such as the Mashhadi Jews of Persia, who continued to practice Judaism in secret and eventually moved to Israel. Many of the Anusim's descendants left Judaism over the years. The results of a genetic study of the population of the Iberian Peninsula released in December 2008 "attest to a high level of religious conversion (whether voluntary or enforced) driven by historical episodes of religious intolerance, which ultimately led to the integration of the Anusim's descendants. The Samaritans, who comprised a comparatively large group in classical times, now number 745 people, and today they live in two communities in Israel and the West Bank, and they still regard themselves as descendants of the tribes of Ephraim (named by them as Aphrime) and Manasseh (named by them as Manatch). Samaritans adhere to a version of the Torah known as the Samaritan Pentateuch, which differs in some respects from the Masoretic text, sometimes in important ways, and less so from the Septuagint. The Samaritans consider themselves Bnei Yisrael ("Children of Israel" or "Israelites"), but they do not regard themselves as Yehudim (Jews). They view the term "Jews" as a designation for followers of Judaism, which they assert is a related but an altered and amended religion which was brought back by the exiled Israelite returnees, and is therefore not the true religion of the ancient Israelites, which according to them is Samaritanism. Y DNA studies tend to imply a small number of founders in an old population whose members parted and followed different migration paths. In most Jewish populations, these male line ancestors appear to have been mainly Middle Eastern. For example, Ashkenazi Jews share more common paternal lineages with other Jewish and Middle Eastern groups than with non-Jewish populations in areas where Jews lived in Eastern Europe, Germany and the French Rhine Valley. This is consistent with Jewish traditions which place most Jewish paternal origins in the region of the Middle East. Conversely, the maternal lineages of Jewish populations, studied by looking at mitochondrial DNA, are generally more heterogeneous. Scholars such as Harry Ostrer and Raphael Falk believe this indicates that many Jewish males found new mates from European and other communities in the places where they migrated in the diaspora after fleeing ancient Israel. In contrast, Behar has found evidence that about 40% of Ashkenazi Jews originate maternally from just four female founders, who were of Middle Eastern origin. The populations of Sephardi and Mizrahi Jewish communities "showed no evidence for a narrow founder effect." Subsequent studies carried out by Feder et al. confirmed the large portion of the non-local maternal origin among Ashkenazi Jews. Reflecting on their findings related to the maternal origin of Ashkenazi Jews, the authors conclude "Clearly, the differences between Jews and non-Jews are far larger than those observed among the Jewish communities. Hence, differences between the Jewish communities can be overlooked when non-Jews are included in the comparisons." Studies of autosomal DNA, which look at the entire DNA mixture, have become increasingly important as the technology develops. They show that Jewish populations have tended to form relatively closely related groups in independent communities, with most people in a community sharing significant ancestry in common. For Jewish populations of the diaspora, the genetic composition of Ashkenazi, Sephardi, and Mizrahi Jewish populations show a predominant amount of shared Middle Eastern ancestry. According to Behar, the most parsimonious explanation for this shared Middle Eastern ancestry is that it is "consistent with the historical formulation of the Jewish people as descending from ancient Hebrew and Israelite residents of the Levant" and "the dispersion of the people of ancient Israel throughout the Old World". North African, Italian and others of Iberian origin show variable frequencies of admixture with non-Jewish historical host populations among the maternal lines. In the case of Ashkenazi and Sephardi Jews (in particular Moroccan Jews), who are closely related, the source of non-Jewish admixture is mainly southern European, while Mizrahi Jews show evidence of admixture with other Middle Eastern populations and Sub-Saharan Africans. Behar et al. have remarked on an especially close relationship of Ashkenazi Jews and modern Italians. Jews were found to be more closely related to groups in the north of the Fertile Crescent (Kurds, Turks, and Armenians) than to Arabs. The studies also show that persons of Sephardic Bnei Anusim origin (those who are descendants of the "anusim" who were forced to convert to Catholicism) throughout today's Iberia (Spain and Portugal) and Ibero-America (Hispanic America and Brazil), estimated that up to 19.8% of the modern population of Iberia and at least 10% of the modern population of Ibero-America, has Sephardic Jewish ancestry within the last few centuries. The Bene Israel and the Cochin Jews of India, Beta Israel of Ethiopia, and a portion of the Lemba people of Southern Africa, meanwhile, despite more closely resembling the local populations of their native countries, also have some more remote ancient Jewish descent. Zionist "Negation of the Diaspora"
According to Schweid, Bialik meant that the "seed" was the potential of the Jewish people. Preserved in the diaspora, this seed could only give rise to deformed results; however, once conditions changed the seed could still provide a plentiful harvest. In this matter Sternhell distinguishes two schools of thought in Zionism. One was the liberal or utilitarian school of Theodor Herzl and Max Nordau. Especially after the Dreyfus Affair, they held that anti-Semitism would never disappear and they saw Zionism as a rational solution for Jewish individuals. The other was the organic nationalist school. It was prevalent among the Zionist olim and they saw the movement as a project to rescue the Jewish nation rather than as a project to only rescue Jewish individuals. For them, Zionism was the "Rebirth of the Nation". Contrary to the negation of the diaspora view, the acceptance of Jewish communities outside Israel was postulated by those, like Simon Rawidowicz (also a Zionist), who viewed the Jews as a culture which had evolved into a new 'worldly' entity that had no reason to seek an exclusive return, either physical, emotional or spiritual to its indigenous lands, and who believed that the Jews could remain one people even outside Israel. It was argued that the dynamics of the diaspora which were affected by persecution, numerous subsequent exiles, as well as by political and economic conditions, had created a new Jewish awareness of the World, and a new awareness of the Jews by the World. In effect there are many Zionists today who do not embrace the "Negation of the Diaspora" as any kind of absolute, and who see no conflict—and even a beneficial and worldly and positive symbiosis—between a diaspora of healthy self-respecting Jewish communities (such as those which have evolved in the United States, Canada, and several other Western countries) and a vital and evolving Israeli society and state of Israel. The Babylonian exile was characterized by physical suffering and oppression. The Babylonians were lopsided towards the Sefirah of Gevurah, strength and bodily might. The Persian exile was one of emotional temptation. The Persians were hedonists who declared that the purpose of life is to pursue indulgence and lusts—"Let us eat and drink, for tomorrow we may die." They were lopsided towards the quality of Chesed, attraction and kindness (albeit to the self). Hellenistic civilization was highly cultured and sophisticated. Although the Greeks had a strong sense of aesthetics, they were highly pompous, and they viewed aesthetics as an end in itself. They were excessively attached to the quality of Tiferet, beauty. This was also related to an appreciation of the intellect's transcendence over the body, which reveals the beauty of the spirit. The exile of Edom began with Rome, whose culture lacked any clearly defined philosophy. Rather, it adopted the philosophies of all the preceding cultures, causing Roman culture to be in a constant flux. Although the Roman Empire has fallen, the Jews are still in the exile of Edom, and indeed, one can find this phenomenon of ever-changing trends dominating modern western society. The Romans and the various nations who inherited their rule (e.g., the Holy Roman Empire, the Europeans, the Americans) are lopsided towards Malchut, sovereignty, the lowest Sefirah, which can be received from any of the others, and can act as a medium for them. The Jewish fast day of Tisha B'Av commemorates the destruction of the First and Second Temples in Jerusalem and the subsequent exile of the Jews from the Land of Israel. The Jewish tradition maintains that the Roman exile would be the last, and that after the people of Israel returned to their land, they would never be exiled again. This statement is based on the verse: "(You paying for) Your sin is over daughter of Zion, he will not exile you (any)more" ["תם עוונך בת ציון, לא יוסף להגלותך"]. According to Aharon Oppenheimer, the concept of the exile beginning after the destruction of the Second Jewish Temple was developed by early Christians, who saw the destruction of the Temple as a punishment for Jewish deicide, and by extension as an affirmation of the Christians as God's new chosen people, or the "New Israel". In actually, in the period that followed the destruction of the Temple, Jews had many freedoms. The people of Israel had religious, economic and cultural autonomy, and the Bar Kochba revolt demonstrated the unity of Israel and their political-military power at that time. Therefore, according to Aharon Oppenheimer, it should be noted that the Jewish exile only started after the Bar Kochba revolt, which devastated the Jewish community of Judea. Despite popular conception, Jews have had a continuous presence in the Land of Israel, despite the exile of the majority of Judeans. The Jerusalem Talmud was signed in the fourth century, hundreds of years after the revolt. Moreover, many Jews remained in Israel even centuries later, including during the Byzantine period (many remnants of synagogues are found from this period). Jews have been a majority or a significant plurality in Jerusalem in the millennia since their exile with few exceptions (including the period following the Siege of Jerusalem (1099) by the Crusaders and the 18 years of Jordanian occupation of eastern Jerusalem, in which Jerusalem's historic Jewish quarter was expelled). d.^ Baltic states (Estonia, Latvia, Lithuania), Belarus, Moldova, Russia (including Siberia), Ukraine. e.^ Caucasus (Armenia, Azerbaijan, Georgia), Central Asia (Kazakhstan, Kyrgyzstan, Tajikistan, Turkmenistan, Uzbekistan). As of 2010 the largest numbers of Jews live in Israel (5,703,700), United States (5,275,000), France (483,500), Canada (375,000), the United Kingdom (269,000-292,000), Russia (205,000-1.5 million), Argentina (182,300), Germany (119,000) and Brazil (107,329). These numbers reflect the "core" Jewish population, defined as being "not inclusive of non-Jewish members of Jewish households, persons of Jewish ancestry who profess another monotheistic religion, other non-Jews of Jewish ancestry, and other non-Jews who may be interested in Jewish matters." Significant Jewish populations also remain in Middle Eastern and North African countries outside of Israel, particularly Iran, Turkey, Morocco, Tunisia, and Yemen. In general, these populations are shrinking due to low growth rates and high rates of emigration (particularly since the 1960s). The Jewish Autonomous Oblast continues to be an Autonomous Oblast of Russia. The Chief Rabbi of Birobidzhan, Mordechai Scheiner, says there are 4,000 Jews in the capital city. Governor Nikolay Mikhaylovich Volkov has stated that he intends to, "support every valuable initiative maintained by our local Jewish organizations." The Birobidzhan Synagogue opened in 2004 on the 70th anniversary of the region's founding in 1934. An estimated 75,000 Jews live in the vast Siberia region. Metropolitan areas with the largest Jewish populations are listed below, though one source at jewishtemples.org, states that "It is difficult to come up with exact population figures on a country by country basis, let alone city by city around the world. Figures for Russia and other CIS countries are but educated guesses." The source cited here, the 2010 World Jewish Population Survey, also notes that "Unlike our estimates of Jewish populations in individual countries, the data reported here on urban Jewish populations do not fully adjust for possible double counting due to multiple residences. The differences in the United States may be quite significant, in the range of tens of thousands, involving both major and minor metropolitan areas." ^ "Diaspora | Judaism". Encyclopedia Britannica. Retrieved 2018-07-12. ^ E. Mary Smallwood (1984). "The Diaspora in the Roman period before CE 70". In William David Davies; Louis Finkelstein; William Horbury (eds.). The Cambridge History of Judaism: The early Roman period, Volume 3. Cambridge University Press. ISBN 9780521243773. ^ Jeffrey M. Peck, Being Jewish in the New Germany, Rutgers University Press, 2006 p 154. ^ Stéphane Dufoix, The Dispersion: A History of the Word Diaspora, BRILL, 2016 pp.28ff, 40. ^ See for example, Kiddushin (tosafot) 41a, ref. "Assur l'adam..."
^ a b Yosef Gorny Converging Alternatives: The Bund and the Zionist Labor Movement, 1897-1985, SUNY Press, 2012 p.50. ^ Immanuel Jakobovits, 'Religious Responses to Jewish Statehood,' Tradition: A Journal of Orthodox Jewish Thought, Vol. 20, No. 3 (FALL 1982), pp.188-204 pp.191,200 n.5. This was the view of Chabad under Menachem Mendel Schneerson. ^ a b Antonia Tripolitis (2002). Religions of the Hellenistic-Roman Age. Wm. B. Eerdmans Publishing. pp. 61–62. ISBN 9780802849137. ^ Bedford, Peter Ross (2001). Temple Restoration in Early Achaemenid Judah. Leiden: Brill. p. 112 (Cyrus edict section pp. 111–131). ISBN 9789004115095. ^ Grabbe, A History of the Jews and Judaism in the Second Temple Period, vol.1 2004 pp.76ff. ^ Lester L. Grabbe, A History of the Jews and Judaism in the Second Temple Period: Yehud - A History of the Persian Province of Judah v. 1, T & T Clark, ISBN 978-0-567-08998-4, 2004 p.355. ^ Steven Bowman, 'Jewish Diaspora in the Greek World, The Principles of Acculturation,' in Melvin Ember, Carol R. Ember, Ian Skoggard (eds.) Encyclopedia of Diasporas: Immigrant and Refugee Cultures Around the World. Volume I: Overviews and Topics; Volume II: Diaspora Communities, Springer Science & Business Media, 2004 pp.192ff. pp.192-193. ^ Mark Avrum Ehrlich, ed. (2009). Encyclopedia of the Jewish Diaspora: Origins, Experiences, and Culture, Volume 1. ABC-CLIO. ISBN 9781851098736. ^ E. Mary Smallwood (2008) "The Diaspora in the Roman period before A.D. 70." In: The Cambridge History of Judaism, Volume 3. Editors Davis and Finkelstein. ^ E. Mary Smallwood (1984). "The Diaspora in the Roman period before CE 70". In William David Davies; Louis Finkelstein; William Horbury (eds.). The Cambridge History of Judaism: The early Roman period, Volume 3. Cambridge University Press. ^ Kleiner, Fred (2010). Gardner's Art Through the Ages: A Global History, Enhanced, Volume I: 1. Wadsworth Publishing. p. 262. ISBN 978-1439085783. ^ David Aberbach (2012). The European Jews, Patriotism and the Liberal State 1789-1939: A Study of Literature and Social Psychology Routledge Jewish Studies Series. Routledge. ISBN 9781136158957. ^ GOODMAN, MARTIN (26 February 2010). "Secta and natio". The Times Literary Supplement. The Times Literary Supplement Limited. Retrieved 2 October 2013. ^ No Return, No Refuge (Howard Adelman, Elazar Barkan, p. 159). "in the popular imagination of Jewish history, in contrast to the accounts of historians or official agencies, there is a widespread notion that the Jews from Judea were expelled in antiquity after the destruction of the temple and the "Great Rebellion" (70 and 135 CE, respectively). Even more misleading, there is the widespread, popular belief that this expulsion created the diaspora." ^ "Book Calls Jewish People an 'Invention'". The New York Times. November 23, 2009. p. 2. Experts dismiss the popular notion that the Jews were expelled from Palestine in one fell swoop in A.D. 70. Yet while the destruction of Jerusalem and Second Temple by the Romans did not create the Diaspora, it caused a momentous change in the Jews' sense of themselves and their position in the world. ^ Daniel Philpott (2012). Just and Unjust Peace: An Ethic of Political Reconciliation. Oxford University Press. p. 131. ^ Encyclopedia of the Jewish Diaspora: Origins, Experiences, and Culture, Volume 1 p. 126: "In fact, well before the destruction of the Second Temple (70 CE), more Jews lived in the Diaspora than in the Land of Israel." ^ The Ten Lost Tribes: A World History (Zvi Ben-Dor Benite, Oxford University Press 2009) pp. 17–18"the dispersal of the Jews, even in ancient times, was connected with an array of factors, none of them clearly exilic"
^ Josephus. The Jewish War. Translated by Whiston, William. 1.0.2 – via PACE: Project on Ancient Cultural Engagement. (Preface) Greek: Ἀράβων τε τοὺς πορρωτάτω. ^ Hayim Hillel Ben-Sasson, A History of the Jewish People, Harvard University Press, 1976, ISBN 0-674-39731-2, The Crisis Under Gaius Caligula, pages 254–256: "The reign of Gaius Caligula (37–41) witnessed the first open break between the Jews and the Julio-Claudian empire. Until then—if one accepts Sejanus' heyday and the trouble caused by the census after Archelaus' banishment—there was usually an atmosphere of understanding between the Jews and the Empire ... These relations deteriorated seriously during Caligula's reign, and, though after his death the peace was outwardly re-established, considerable bitterness remained on both sides. ... Caligula ordered that a golden statue of *himself* be set up in the Temple in Jerusalem. ... Only Caligula's death, at the hands of Roman conspirators (41), prevented the outbreak of a Jewish-Roman war that might well have spread to the entire East." ^ Feldman 1990, p. 19: "While it is true that there is no evidence as to precisely who changed the name of Judaea to Palestine and precisely when this was done, circumstantial evidence would seem to point to Hadrian himself, since he is, it would seem, responsible for a number of decrees that sought to crush the national and religious spirit of the Jews, whether these decrees were responsible for the uprising or were the result of it. In the first place, he refounded Jerusalem as a Graeco-Roman city under the name of Aelia Capitolina. He also erected on the site of the Temple another temple to Zeus." ^ Jacobson 2001, p. 44-45: "Hadrian officially renamed Judea Syria Palaestina after his Roman armies suppressed the Bar-Kokhba Revolt (the Second Jewish Revolt) in 135 C.E. ; this is commonly viewed as a move intended to sever the connection of the Jews to their historical homeland. However, that Jewish writers such as Philo, in particular, and Josephus, who flourished while Judea was still formally in existence, used the name Palestine for the Land of Israel in their Greek works, suggests that this interpretation of history is mistaken. Hadrian's choice of Syria Palaestina may be more correctly seen as a rationalization of the name of the new province, in accordance with its area being far larger than geographical Judea. Indeed, Syria Palaestina had an ancient pedigree that was intimately linked with the area of greater Israel." ^ Gudrun Krämer A History of Palestine: From the Ottoman Conquest to the Founding of the State of Israel, Princeton University Press p.14:"As another element of retaliation, the Romans renamed the province of Judaea "Syria Palestina" to erase any linguistic connection with the rebellious Jews. As mentioned earlier, the name "Palestine" in itself was not new, having already served in Assyrian and Egyptian sources to designate the coastal plain of the southern Levant." ^ Peter Schäfer, The Bar Kokhba War Reconsidered Mohr Siebeck 2003 p.33. ^ Giovanni Battista Bazzana, 'Bar Kochba’s Revolt and Hadrian’s Religious Policy,’ in Marco Rizzi (ed. ), Hadrian and the Christians, Walter de Gruyter, 2010 pp.85-109 p.89-91. ^ Alessandro Galimberti, 'Hadrian, Eleusus, and the Begi nning of Christian Apologetics' in Marco Rizzi (ed. ), Hadrian and the Christians, Walter de Gruyter, 2010 pp.71-84, p.74. ^ Martin Goodman, 'The Roman State and Jewish Diaspora Communities in the Antonine Age,' in Yair Furstenberg (ed. ),Jewish and Christian Communal Identities in the Roman World, BRILL, 2016 pp.75-86 p.75. ^ E. Mary Smallwood, The Jews Under Roman Rule: From Pompey to Diocletian: a Study in Political Relations, [[Brill Publishers|]] 2001 p.507. ^ Isaiah Gafni, Land, Center and Diaspora: Jewish Constructs in Late Antiquity, Bloomsbury Publishing, 1997 p.66. ^ Ulman, Jane (June 7, 2007). "Timeline: Jewish life in Poland from 1098". Jewish Journal. ^ a b Wade, Nicholas (January 14, 2006). "New Light on Origins of Ashkenazi in Europe". The New York Times. ^ a b Wade, Nicholas (June 9, 2010). "Studies Show Jews' Genetic Similarity". The New York Times. ^ a b c Doron M. Behar; Bayazit Yunusbayev; Mait Metspalu; Ene Metspalu; Saharon Rosset; Jüri Parik; Siiri Rootsi; Gyaneshwer Chaubey; Ildus Kutuev; Guennady Yudkovsky; Elza K. Khusnutdinova; Oleg Balanovsky; Ornella Semino; Luisa Pereira; David Comas; David Gurwitz; Batsheva Bonne-Tamir; Tudor Parfitt; Michael F. Hammer; Karl Skorecki; Richard Villems (July 2010). "The genome-wide structure of the Jewish people". Nature. 466 (7303): 238–42. Bibcode:2010Natur.466..238B. doi:10.1038/nature09103. PMID 20531471. ^ M. D. Costa and 16 others (2013). "A substantial prehistoric European ancestry amongst Ashkenazi maternal lineages". Nature Communications. 4: 2543. Bibcode:2013NatCo...4E2543C. doi:10.1038/ncomms3543. PMC 3806353. PMID 24104924. ^ * Haber, Marc; Gauguier, Dominique; Youhanna, Sonia; Patterson, Nick; Moorjani, Priya; Botigué, Laura R.; Platt, Daniel E.; Matisoo-Smith, Elizabeth; et al. (2013). Williams, Scott M (ed.). "Genome-Wide Diversity in the Levant Reveals Recent Structuring by Culture". PLOS Genetics. 9 (2): e1003316. doi:10.1371/journal.pgen.1003316. PMC 3585000. PMID 23468648. ^ "Mountain Jews - Tablet Magazine – Jewish News and Politics, Jewish Arts and Culture, Jewish Life and Religion". Tablet Magazine. Retrieved 2015-12-27. ^ Weil, Shalva. "Kerala to restore 400-year-old Indian synagogue", The Jerusalem Post. 2009. ^ a b The Jews of India: A Story of Three Communities by Orpa Slapak. The Israel Museum, Jerusalem. 2003. p. 28. ISBN 965-278-179-7. ^ Hammer MF, Redd AJ, Wood ET, et al. (June 2000). "Jewish and Middle Eastern non-Jewish populations share a common pool of Y-chromosome biallelic haplotypes" (PDF). Proceedings of the National Academy of Sciences of the United States of America. 97 (12): 6769–6774. Bibcode:2000PNAS...97.6769H. doi:10.1073/pnas.100115997. PMC 18733. PMID 10801975. ^ Atzmon, G; Hao, L; Pe'Er, I; Velez, C; Pearlman, A; Palamara, PF; Morrow, B; Friedman, E; Oddoux, C (2010). "Abraham's children in the genome era: Major Jewish diaspora populations comprise distinct genetic clusters with shared Middle Eastern Ancestry". American Journal of Human Genetics. 86 (6): 850–9. doi:10.1016/j.ajhg.2010.04.015. PMC 3032072. PMID 20560205. ^ Katsnelson, Alla (2010). "Jews worldwide share genetic ties". Nature. doi:10.1038/news.2010.277. ^ Nebel, A; Filon, D; Brinkmann, B; Majumder, PP; Faerman, M; Oppenheim, A (November 2001). "The Y chromosome pool of Jews as part of the genetic landscape of the Middle East". Am. J. Hum. Genet. 69 (5): 1095–112. doi:10.1086/324070. PMC 1274378. PMID 11573163. ^ Behar, Doron M.; Yunusbayev, Bayazit; Metspalu, Mait; Metspalu, Ene; Rosset, Saharon; Parik, Jüri; Rootsi, Siiri; Chaubey, Gyaneshwer; Kutuev, Ildus; Yudkovsky, Guennady; Khusnutdinova, Elza K.; Balanovsky, Oleg; Semino, Ornella; Pereira, Luisa; Comas, David; Gurwitz, David; Bonne-Tamir, Batsheva; Parfitt, Tudor; Hammer, Michael F.; Skorecki, Karl; Villems, Richard (10 June 2010). "Genetics & the Jews (it's still complicated) : Gene Expression". Nature. Blogs.discovermagazine.com. 466 (7303): 238–242. Bibcode:2010Natur.466..238B. doi:10.1038/nature09103. PMID 20531471. Retrieved 12 April 2013. ^ "Lessons from the Dreidel". Chabad.org. ^ "The Diaspora". Jewish Virtual Library. Singer, Isidore; et al., eds. (1901–1906). "Statistics". The Jewish Encyclopedia. New York: Funk & Wagnalls. ^ a b Taylor, Myron Charles (1942). "Distribution of the Jews in the World". Vatican Diplomatic Files. Franklin D. Roosevelt Presidential Library and Museum. Retrieved March 15, 2012. ^ a b Fischer, Shlomo (2011). Annual Assessment 2010 (PDF). Executive Report No. 7. Jerusalem: The Jewish People Policy Institute. ISBN 978-9657549025. Retrieved March 15, 2012. ^ a b DellaPergola, Sergio (November 2, 2010). Dashefsky, Arnold; Sheskin, Ira (eds.). "World Jewish Population, 2010" (PDF). Current Jewish Population Reports. Storrs, Connecticut: North American Jewish Data Bank. Archived from the original (PDF) on February 9, 2012. Retrieved March 15, 2012. ^ Tolts, Mark (2014). Rebhun, Uzi (ed.). "Sources for the Demographic Study of the Jews in the Former Soviet Union". The Social Scientific Study of Jewry: Sources, Approaches, Debates. Institute of Contemporary Jewry, The Hebrew University of Jerusalem/Oxford University Press. XXV11: 170. ISBN 9780199363490. ^ "A Jewish revival in Birobidzhan?". Jewish News of Greater Phoenix. October 8, 2004. Archived from the original on May 10, 2011. ^ "From Tractors to Torah in Russia's Jewish Land". Federation of Jewish Communities of the CIS. June 1, 2007. Archived from the original on April 11, 2013. ^ "Governor Voices Support for Growing Far East Jewish Community". Federation of Jewish Communities of the CIS. November 15, 2004. Archived from the original on May 18, 2011. ^ "Far East Community Prepares for 70th Anniversary of Jewish Autonomous Republic". Federation of Jewish Communities of the CIS. August 30, 2004. Archived from the original on May 18, 2011. ^ "Planting Jewish roots in Siberia". Federation of Jewish Communities of the CIS. May 24, 2004. Archived from the original on August 27, 2009. ^ "Jewish Temples – World Jewish Population and Temple Directory". Archived from the original on 2007-09-13. ^ "Brazil - Modern-Day Community". www.jewishvirtuallibrary.org/. 2013. Retrieved 2013-12-22. Aviv, Caryn S.; Schneer, David (2005). New Jews: The End of the Jewish Diaspora. New York: New York University Press. ISBN 9780814740170. OCLC 60321977. Feldman, Louis H. (1990). "Some Observations on the Name of Palestine". Hebrew Union College Annual. Hebrew Union College - Jewish Institute of Religion. 61: 1–23. JSTOR 23508170. Wikimedia Commons has media related to Jewish diaspora.